Last Saturday I sporadically watched the final match of the Australian Open on TV — sporadically because whenever I turned on the TV set, Naomi Osaka started losing points to Petra Kvitova. I would then superstitiously switched it off, hoping that Osaka would regain momentum while I was not watching. Mysteriously enough, she always did. After I switched on the TV for the fourth time, they were in the last set and 10 minutes later Osaka finally won the championship. When Kvitova failed to return Osaka’s powerful service, I first could not believe what had just happened and then I was convinced that her victory in the U.S. Open last year was by no means a fluke. Osaka’s fans in Tokyo and elsewhere were overjoyed by her victory. 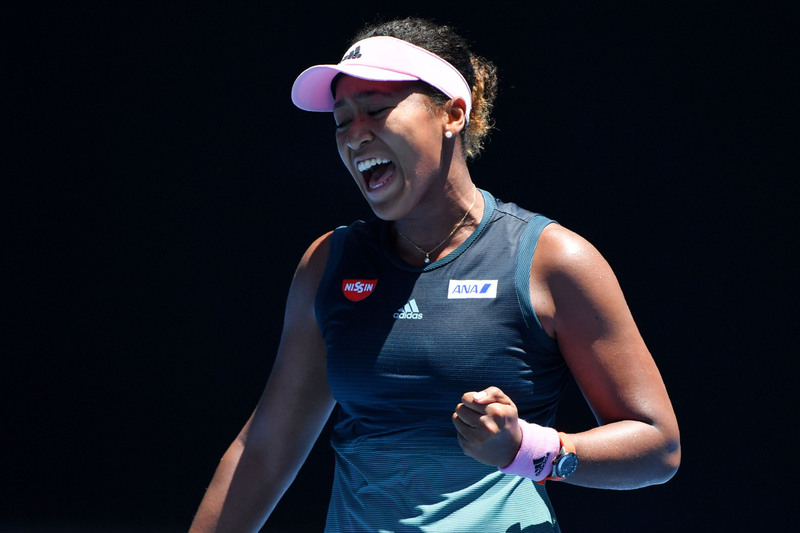 Japan’s mainstream media reported the breaking news referring to Naomi Osaka as the first Japanese female tennis player to win two consecutive Grand Slam titles and to be ranked World No. 1. Yes, she is. But not quite so, is she? I felt something odd, if not wrong, about those media stories. Yes, Osaka was born in Japan but she and her family — a Haitian father, a Japanese mother and a sister — moved to New York when she was 3 and started playing tennis. Now living in Florida, Osaka holds dual U.S. and Japanese citizenship and calls America home. How can multicultural Osaka represent Japan? It’s not because she had no other choice, but rather that her father wanted her to play for Japan for financial reasons. The Japan Tennis Association has reportedly offered more financial support than its U.S. counterpart. JTA seems to have made a critically important judgment. I felt another odd feeling about the stereotypical comments on Osaka’s victory. Some expat pundits living in Japan frequently criticize xenophobia and discrimination in Japanese society. They claim that mixed-race Japanese nationals are unfairly treated and the Japanese government must change its xenophobic policies. First, having served as a diplomat for 27 years in the Foreign Ministry, my conclusion is that discrimination and xenophobia are very human and quite common everywhere. In the Middle East, for example, every nation, tribe, clan and individual discriminates against others. This is especially the case if you belong to a small minority in an area with big majority of different nations, tribes, clans or individuals. The most typical examples are the Jews and Christians in the region. Dreams of an open and non-discriminatory Europe have recently been eroded and unhealthy nationalism, populism and xenophobic discrimination against Muslim immigrants from the other side of the Mediterranean are on the rise. Of course, the U.S. is no exception, either. Second, Japan is learning lessons as well. Now it is rapidly becoming a multiracial and multicultural society, especially in some suburban areas — something that nobody had imagined would happen. With the amended immigration control law, up to 340,000 new non-Japanese workers are expected in the next five years to join the already 1.3 million strong foreign labor force. In downtown Tokyo, for instance, Shin-Okubo is already a multi-ethnic town and pedestrians speak foreign languages such as Korean, Chinese, Turkish, Arabic and Urdu, etc. A great majority of the residents in some housing complexes in the cities of Warabi and Kawaguchi in Saitama Prefecture are non-Japanese. In those places, Japanese nationals are minorities, but they are learning lessons on how to get along well with foreign newcomers and are making progress. In Japan, and especially in rural areas, foreigners and biracial Japanese are not rare any more. Living with hundreds of thousands of Naomi Osakas in Japan is becoming a reality here. Third, Osaka is very Japanese. She said after the match, “Huge congrats to Petra, I always wanted to play you. You’ve been through so much and I honestly wouldn’t want this to be our first match. You’re really amazing and I’m so honored to have played you.” Unlike in New York, she got very positive reaction in Melbourne. A tennis journalist described Osaka’s “humility.” He wrote, “She bowed to Kvitova at the net … and she bowed to everyone who surrounded her during the ceremony. She’s the rare player who picks up her own plastic bags and water bottles on court and puts them in the trash, rather than having a ball kid do it for her.” This is a Japanese characteristic. I can tell the difference. Modesty, politeness, honesty and humility. These make Osaka truly represent Japan although she is still trying to become fluent in her mother’s native language. In the world of tennis, there have been many arrogant, selfish and assertive champions, but Osaka is different. 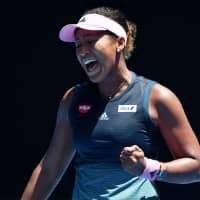 One 30-year-old expat in Australia criticized Osaka, saying “she does not speak well at all … a shame really, as most #1s are pretty well able to front the mic.” A tennis writer disagreed by saying, “Osaka shows that (power and speed) to be a champion, you don’t have to talk the talk, you just have to walk the walk.” I fully agree. Fourth, I found one big dilemma for Japan. Japanese law requires Japanese citizens with more than one nationality to give the others up when they turn 22 years old. Will Osaka give up her U.S. citizenship? If not, Japan will lose one of the greatest Japanese tennis players. It’s time for Japan to allow dual citizenship. Finally, the eternal question is “What is Japanese?” Unlike the United States, Japan is not a country of immigration and in this respect is similar to some European nations. “Japanese-ness” is not something you can artificially define. It is rather a transformational concept to be permanently defined by the Japanese in the years to come. In the coming decade or two, we will have millions of people like Osaka who will enrich and evolve the Japanese nation. Let them play their role in our community and we must work together to refine and recreate the already multicultural nation of Japan.